I wanted to again commend all of our Oregon and Washington Top athletes on the most productive winter football months we have ever had in the Northwest. The training has been incredible and people have balled out all over the place. The best of the best going against one another has been remarkably beneficial for all of the athletes. We are excited to take a great group of kids to Las Vegas to compete on a national stage and build Northwest football to heights never seen before. I am sharing a piece published on Oregon Live about our very own Taylor Barton who is being recognized for the person that he truly is. If you can get through his intense exterior he is one of the most generous kind hearted people you will ever meet. Always putting others before himself, and spending countless hours helping every kid under the sun that wants to play football. Through this I have seen him work for days straight without sleep, and spend THOUSANDS of dollars of his own money simply to help kids who otherwise wouldn’t have a place to play football. Many of you know Taylor has a beautiful new wife and a child on the way, so the time being spent on the game has been a sacrifice in more ways then one. It has all been done for the love of the game and the kids that play it. As my closest friend I am biased to Taylor, but Ive witnessed all of the behind the scenes work that no one will ever know about. This article does a great job of summarizing all of those things. 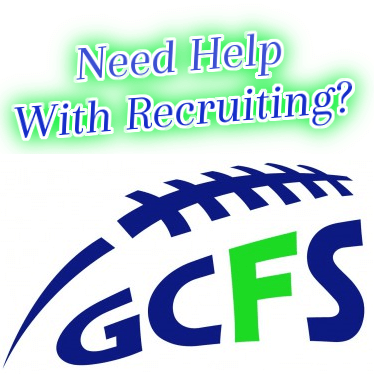 We want the best for the athlete first and foremost which is why we will continue to promote other camps and combines all over the region (NIKE, FBU..Etc). I think David Gillaspie did an outstanding job describing Taylor and his ability to help athletes. We appreciate all of the feedback given to NEI over the last 7 months. Check out the message below from Wyoming COMMIT DJ Mays mom (Melissa Glatt) as we appreciate her nice thoughts and wanted to let us say thank you to those who have written similar messages. This is a testament to what we will continue to do for all of our northwest kids looking to play at the next level. Check the article as we look forward to seeing all of you on the NEI/Barton Football Academy Camp and Combine Tour. Hi Taylor, I’m DJ May’s mom and have never actually talked to you before. However, I wanted to say a big THANK YOU for your help in getting DJ noticed by Univ. of Wyoming (where he just committed to this past weekend)!! > DJ met you when attending one of your camps this past summer and since then he has said you’ve kept in regular contact with him and continued to send recruiters his way. > While some schools had been in contact with us over the past months, Wyoming came out of nowhere and suddenly offered quickly and was serious, no playing around like some other colleges. > Thanks for your continued effort to help out kids in the NW! What I’m even more thankful for is that we never even asked you for this help, you did it because its what you do and you care about these kids you see come through your camp. Thanks for keeping an eye out and promoting the talent and hard working kids you meet!